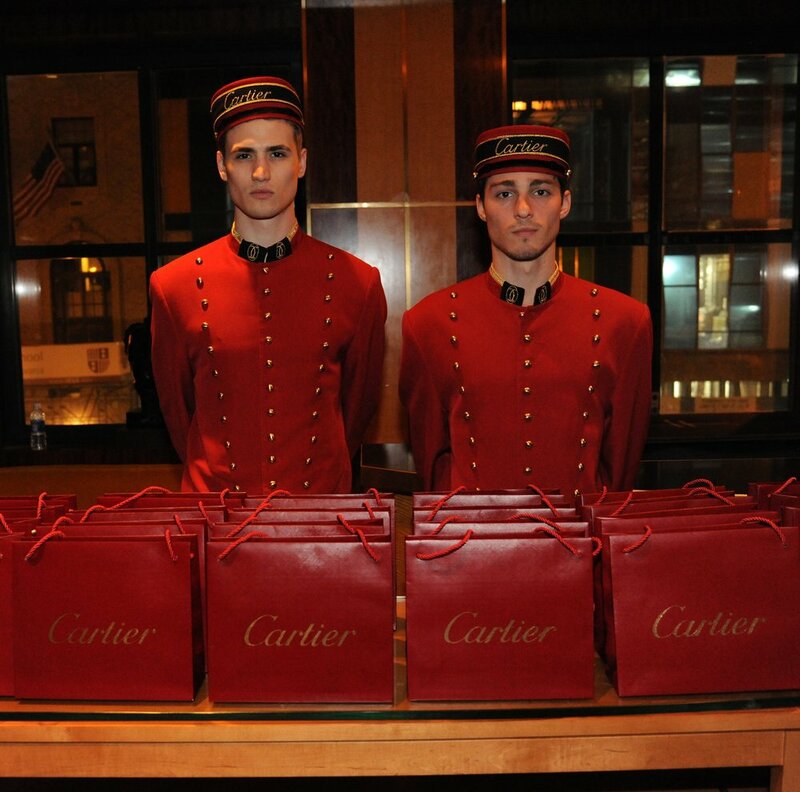 THG secured Cartier to partner with our Carnegie Hall client for the exclusive 2012 thru 2018 Chairman’s Circle Dinner Evenings as an opportunity to develop a relationship with Carnegie Hall’s affluent patrons and to continue Cartier’s support of the arts. Robert and Hope Smith, Board President, hosts Carnegie’s Annual Chairman’s Circle Dinners at the Hall. Donors and Trustees are hosted for cocktails and hors d’oeuvres, followed by a spectacular private recital by renowned artists. The evening culminates with a lavish gourmet dinner. The partnership has proven to be an excellent platform for Cartier to develop ongoing meaningful relationships with a select audience of New Year’s most affluent but obscure arts patrons and consumers. THG’s marketing and partnership relationship with the celebrated Swiss watchmaker started with the launch of their first US retail store in New York. THG developed a plan to position the historic brand as an icon of high culture by partnering with the country’s top arts organizations. THG negotiated with Breguet to become the first Official Timepiece of any American orchestra with the Los Angeles Philharmonic and the sole sponsor of Opening Night Gala at Walt Disney Concert Hall. Breguet’s two-year exposure included the first-ever logo projection onto the famed Frank Gehry designed concert hall and a Breguet Lounge showcasing a collection of rare timepieces at the Opening Night Gala. The partnership included an intimate dinner at Breguet’s new Rodeo Drive boutique in Beverly Hills, which fostered direct sales of their ultra-luxury watches and jewelry. THG conceived and negotiated with Breguet to become the first Official Timepiece of Carnegie Hall for a multi-year partnership to include specially-designed Breguet clocks permanently showcased in the major interior public gathering spaces of the iconic New York landmark building as well as exclusive Breguet customer entertaining and sales promotion opportunities. THG developed a partnership between Breguet, South Coast Plaza-Orange County and Carnegie Hall in support of music education programs. The launch experience took place at the Tourbillon Boutique and Jewel Court of South Coast Plaza, inclusive of a cocktail reception, concert performance by members of the Ensemble ACJW, featuring musicians of The Academy - a program of Carnegie Hall, Juilliard School and the Weill Music Institute - and post-concert in-store shopping.